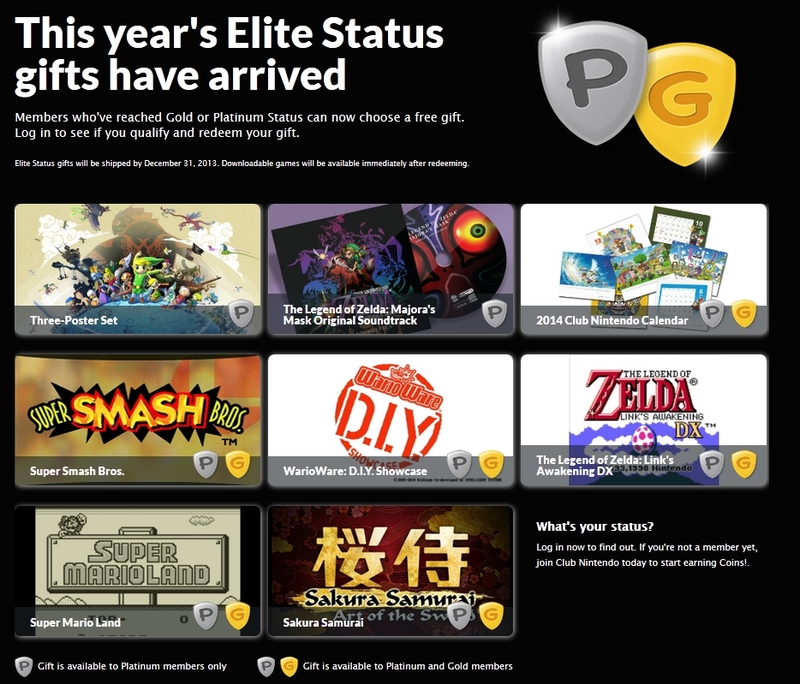 Hey, it's REWARD TIME, Platinum and Gold members! I picked up Super Mario Kart with my coins awhile back as a reward. Guess I'll go for Majora's Mask since I sold my Game Cube copy. Just an fyi, the Mario Vs. DK is a 3DS only. Won't work on the DSi. If, like me, you've been sitting on 900+ coins waiting for the return of the Gold Nunchuck, today's your lucky day! Get it while it's there! I blew most of my points on DLC games for my kids to play. Shoot. I probably shouldn't have registered this 3ds one day before the end of the club year. Whoops. I've been saving my points for the upcoming year since I knew I wouldn't hit gold this time around. One question when you sign up and type in the Pin# do you have to add the "-" between each part? I don't think so? I can't remember for sure. I'm at Gold for the year but won't hit Platinum. I'm sitting on a bunch of points in post play surveys for Pikmin 3, Mario Kart 8, and a few others that I won't do until the 1st so I start off next year in good shape. The whole free games offers this year got me to start registering my stuff. Made platinum status pretty easily. Looks like a Smash Bros. 3-Poster set has been added to the Rewards section for 700 coins.